A desperate battle of national pride. Neither side would back down and the bloody battle for Hill 776 ensued. Lasting four days, the Russian paratroopers would fight against overwhelming odds. 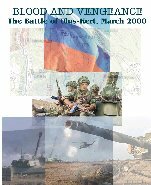 Supported by artillery, gunships and aircraft, the Russians battled the Chechen foe, some 1500 of them. Opposing them and their escape was the 6th Company, some 90 men. The town of Ulus-Kert is surrounded by steep, wooded terrain. About 6 km of the town are the Dargenduk mountains. About 2 km south of the town is Hill 705 and another 2km the opening of a narrow gorge begins. About 4km SE of the town is Hill 776, on the gorge's east side. Hill 787 is 1 km south of this hill. Between them is a saddle and a mountain path that the Chechens had hoped to escaped through. Company 6 had the mission to prevent this. As a Russian player, will you also call artillery fire upon your own position? Will you survive?